Ahead of Tiesto, The Chainsmokers, and Skrillex. 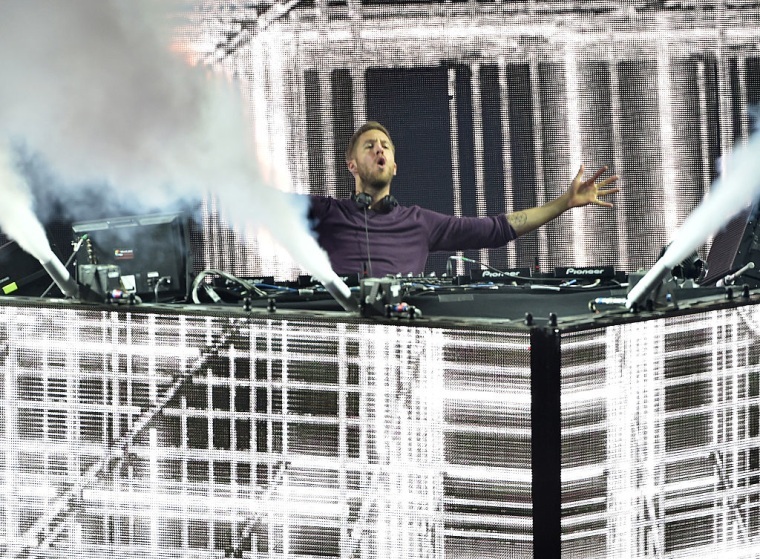 This year's list of the highest paid DJs in the world has been revealed, with Calvin Harris topping the chart for the fifth year in a row. Forbes reports the Scottish DJ and producer earned $48.5m in the 12 months between June 2016 and June 2017. Harris's huge earnings put him comfortably atop Forbes‘ Electronic Cash Kings list for 2017. Tiesto finished second with a reported $39m. The Chainsmokers, meanwhile, make their debut on the annual list following a breakthrough year in which they are said to have made $38m. Harris's success as a recording artist contributed to his earnings. He released new alum Funk Wav Bounces Vol. 1 in June. The album features collaborations with Frank Ocean and Katy Perry among others. He also pulls in "mid-six-figure fees for his Las Vegas performances and seven-figure music festival," according to Forbes. Fees for agents, managers and lawyers are not subtracted. Lower down on the list are Skrillex ($30m), Steve Aoki ($29.5m), and Diplo ($28.5m). The top 10 on the list made a collective $298 million, up from $270.5 million in 2016. The lack of diversity is striking, if unsurprising, with no women featuring in the top 10 at all.